Loveland is nestled against the foothills of the Rocky Mountains, 46 miles north of Denver on the I-25 Corridor. Its population of about 67,000 makes it the second most populous city in Larimer County and the 14th most populous in Colorado. 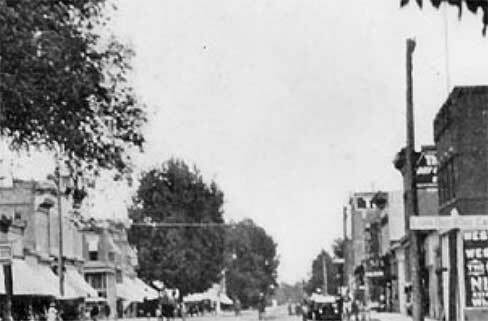 To learn about the history of Loveland, click here. Loveland is a Home Rule Municipality offering the convenience of a small town with all the amenities of a larger city. With an average of 300 days of sunshine per year and low humidity, Loveland experiences pleasant weather year-round. There is always something happening in this community, from musical concerts, art shows, and theater productions to professional hockey games, community celebrations, and a multitude of conventions. Loveland offers a variety of both indoor and outdoor activities enjoyable for every season. Late 1850s: A large number of explorers and settlers begin to arrive in the Big Thompson Valley. 1858: Well-known mountain-man Mariano Medina first visits Thompson Valley, but leaves soon after. 1860: Medina returns with his family and a small group of Spanish settlers and acquires land next to the Big Thompson River. Medina founds a community called Namaqua, named after the town post office. Mid 1860s: Settlers begin to use irrigation methods for farming, proving to be very important and causing a large influx of growth to the region. 1867: Andrew Douty relocates his flour mill to the valley from Boulder. A small settlement emerges around the mill. The settlement adopts the name Old St. Louis, after Douty begins to print “St. Louis” on the flour bags. 1868: The community of St. Louis had earned a place on the ballot for county seat, narrowly losing out to Camp Collins. 1870: David Barnes and his family purchase 320 acres in the Thompson Valley. 1877: Barnes donates part of his land to make way for the railroad. A depot was built and Loveland’s birth had occurred. The railroad proved to be the life blood of a young Loveland. 1877: Once the crops were harvested, Barnes begins to plot an 80-acre town site. The residents insisted on the new town being called Barnesville, in his honor, but Barnes declined and named the town after his good friend, W.A.H. Loveland, who was president of the Colorado Central Railroad. 1881: Loveland officially becomes an incorporated town, with J.H. Aldrich as the town’s first mayor. 1886: David Barnes, the town’s pioneer who was adored by the residents, passes away. 1901: The Great Western Sugar Company builds a factory in Loveland, becoming a stronghold for the town’s economy and employment. 1920s: Spring Glade Orchard becomes the largest cherry orchard west of the Mississippi River, producing more than $1 million worth of cherries each year. A series of droughts and World War II would eventually lead to the demise of the industry in 1960. 1947: The postmaster and chamber of commerce president comes up with the idea for the "Loveland Valentine Re-mailing Program," using the city’s unique name to share love and friendship with the rest of the U.S.
1960s: Loveland sees a huge boost in its economy with the creation of many new jobs thanks to Hewlett-Packard, who established a large manufacturing facility in the southwest part of the city. Loveland continues to grow with the construction of the Centerra Shopping center, the state-of-the-art Budweiser events center, a new medical center and the beautiful Embassy Suites Loveland Hotel, Spa & Conference center.